Do you wish to enhance the curb appeal of your home by investing in superior quality garage door? Or you want to extend the security feature of your home? Call ASAP Garage Door Repair at (732) 322-8877 right away! Known for delivering superior quality and unparalleled services, ASAP is a leading garage door repair service provider across Lanoka Harbor, Ocean County. At ASAP, we understand that it is not every day you shop for a new garage door, therefore we take utmost care in providing you the best service possible along with expert advice. 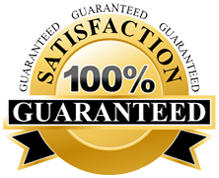 Our highly trained and expert team at ASAP Garage Door Repair is not satisfied with their work unless our customers are 100% satisfied. This is the main reason that we guarantee all the products and services delivered by us. We pride in our quality workmanship and professional expertise of a garage door repair company that can service all your needs. Our consistency in work has helped us establish a long list of satisfied customers with every increasing customer loyalty. At ASAP Garage Door Repair, we send out our expert team of garage door repair professionals to inspect the site and carry out the required job as per your expectations. You can even call us to talk to our expert and gain useful advice for properly maintain your garage doors. You can call us anytime of the day or night at (732) 322-8877. Home owners can also email their queries at asapgds@gmail.com. For an online free quote, simply fill this short form and get started. This entry was posted in Lanoka Harbor on March 28, 2014 by admin.